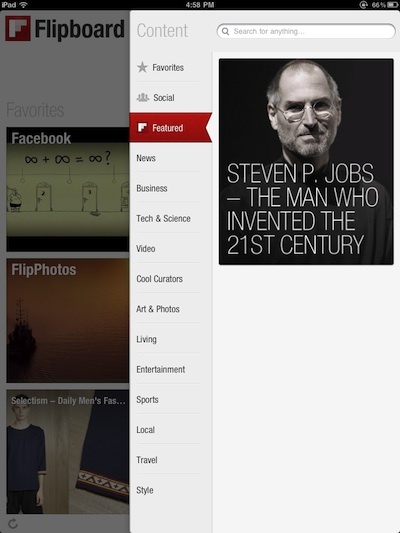 We found a nice surprise today when we launched the Flipboard app on our iPads. In the Red flag area where we normally find Featured and New feeds, we found an area to Remember Steve Jobs. 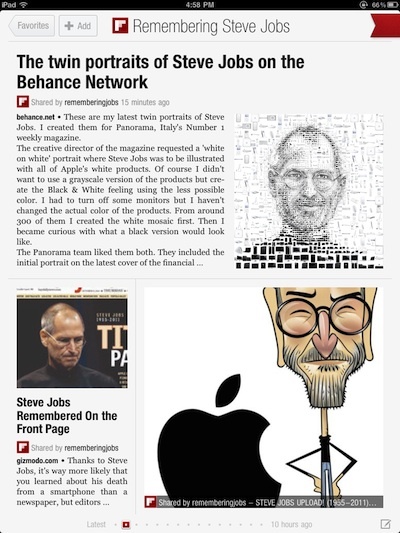 The area in Flipboard is a nice collection of articles and pictures of Steve Jobs. An opportunity for folks to come together to remember him for his life and the impact he had on our lives. If you would like to add your memories or well wishing, as well as pictures. 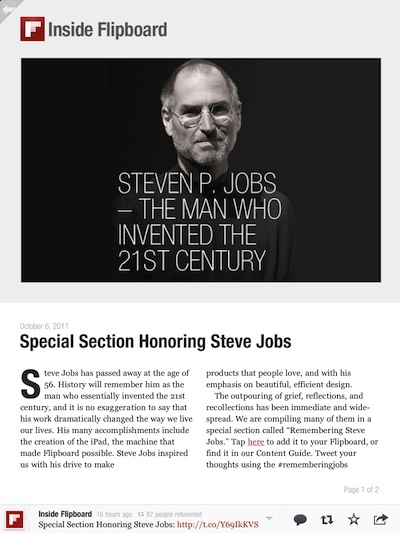 You can use the link provided in the front page of the Flipboard area “Remembering Steve Jobs”. Or, you can post on twitter with the hashtag #rememberingjobs .